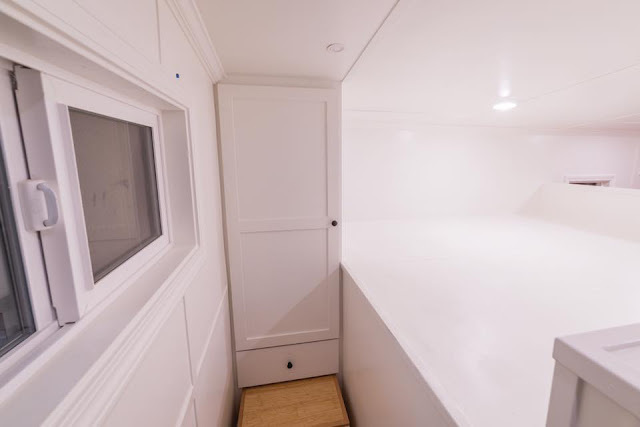 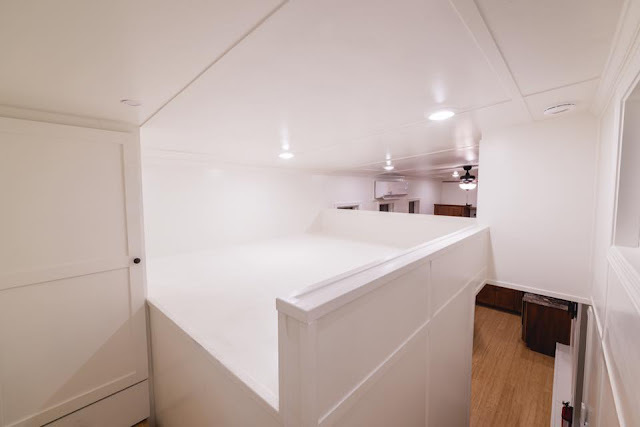 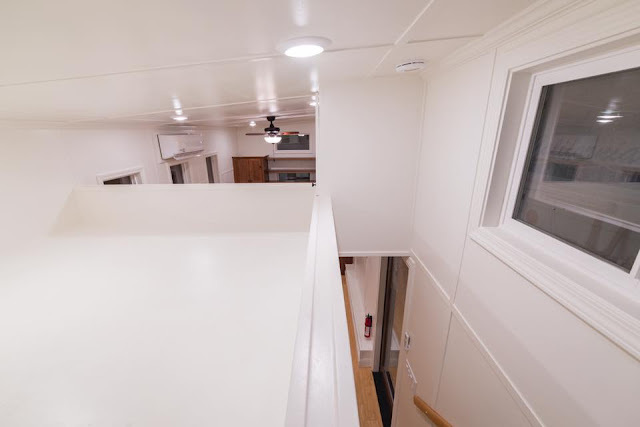 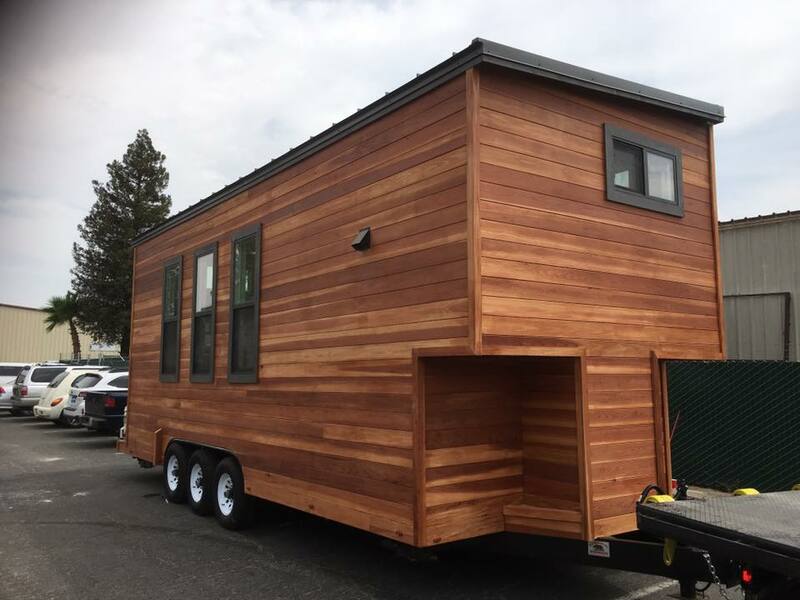 This custom 10’ x 24’ tiny home built by California Tiny House is simple, spacious and mostly unfurnished. 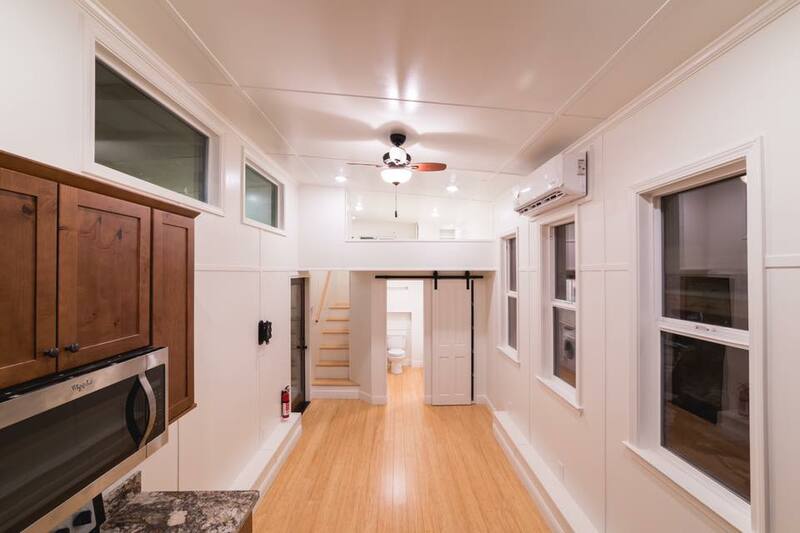 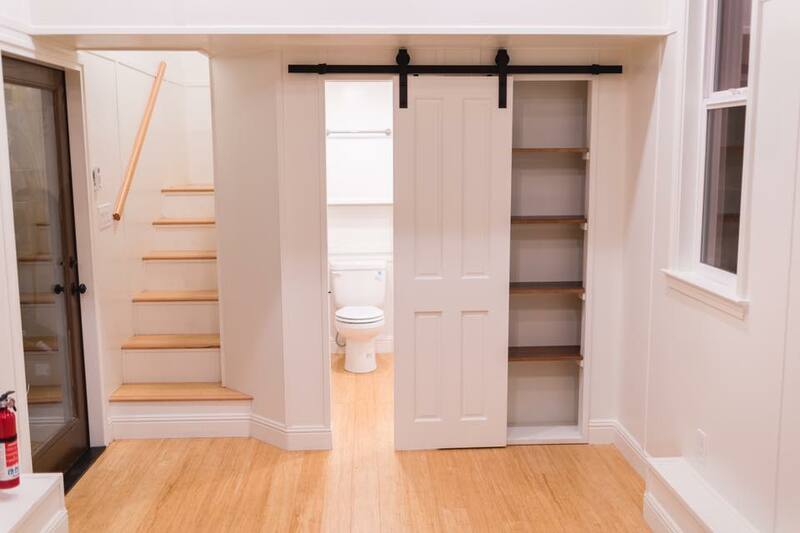 The style of this home would be perfect for the person/family wanting to downsize their living space without sacrificing kitchen or bathroom space. When you walk through the entrance of this home, you’ll see the staircase that leads up to the California king-sized lofted bedroom immediately to your left; and, adjacent to this staircase is the bathroom. 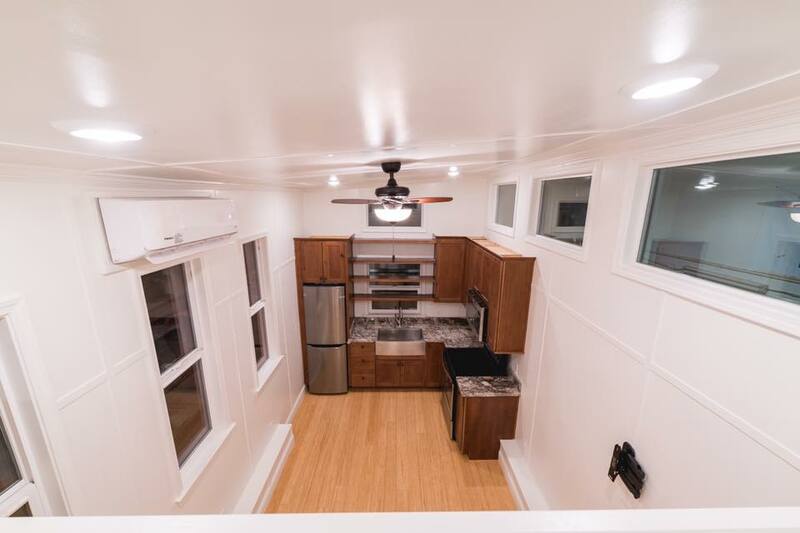 The living room is the space you will be standing in, and the kitchen is to the far right of the home. 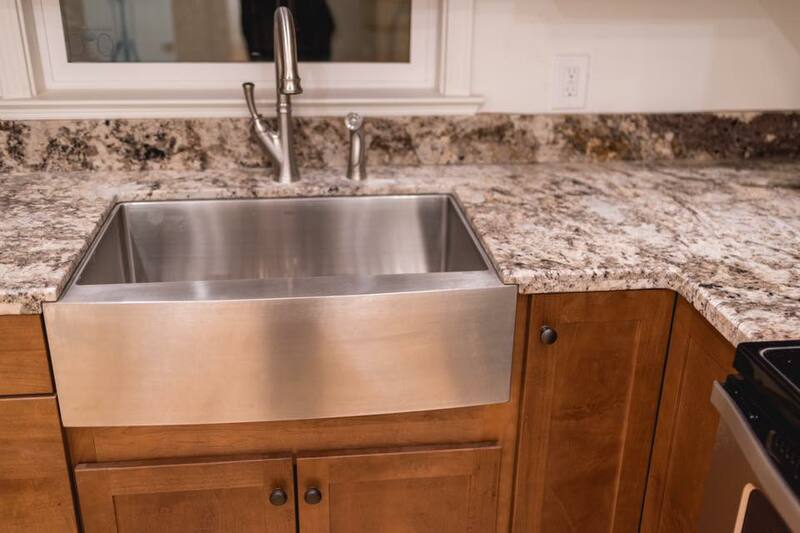 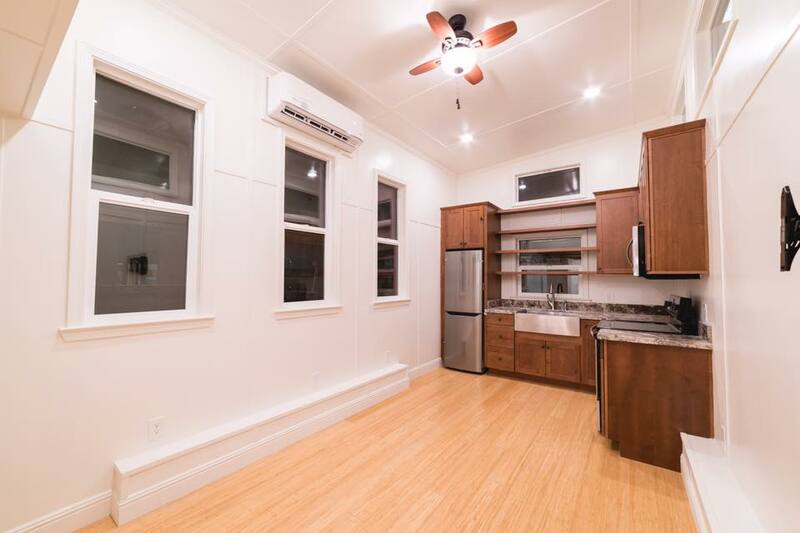 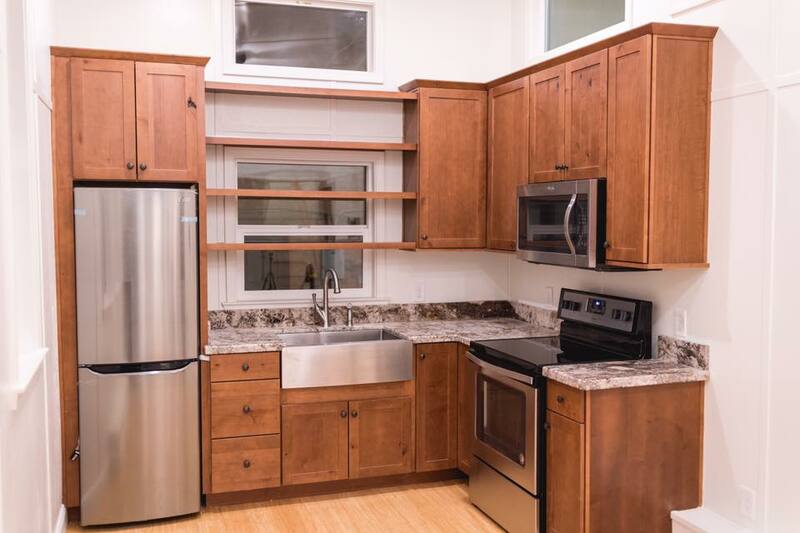 The kitchen is furnished with stainless steel appliances (i.e. 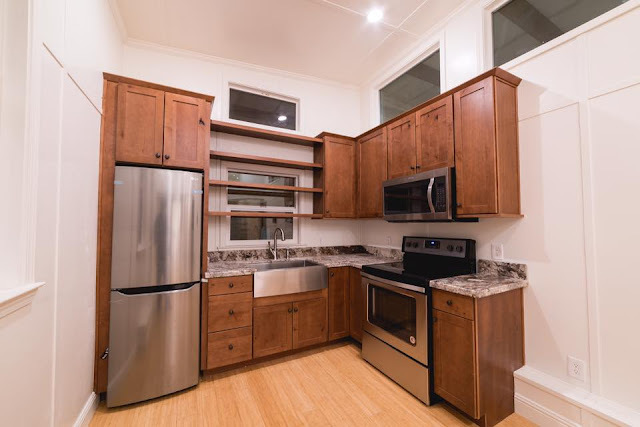 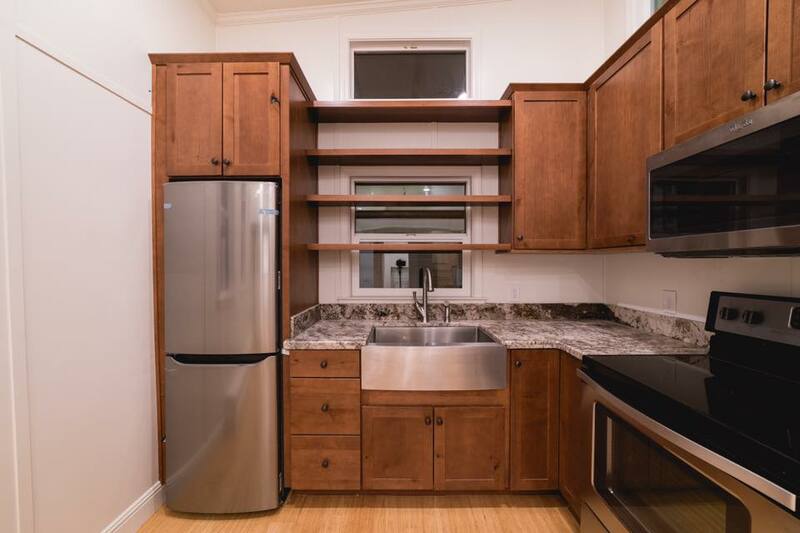 full-sized refrigerator/freezer, sink, 4-burner range/oven, microwave), granite countertops and stained wood cabinetry. 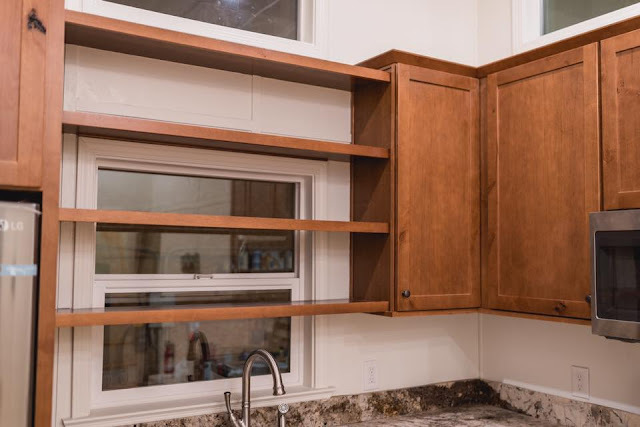 Also, herbs can be grown in the kitchen due to the shelving that was cleverly built in front of the sink window! 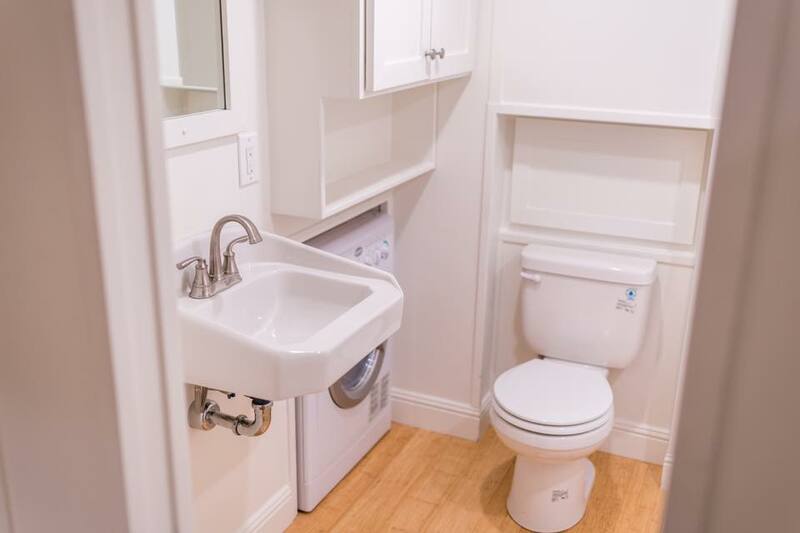 Like the kitchen, the bathroom is not lacking in space or luxury furnishings either. 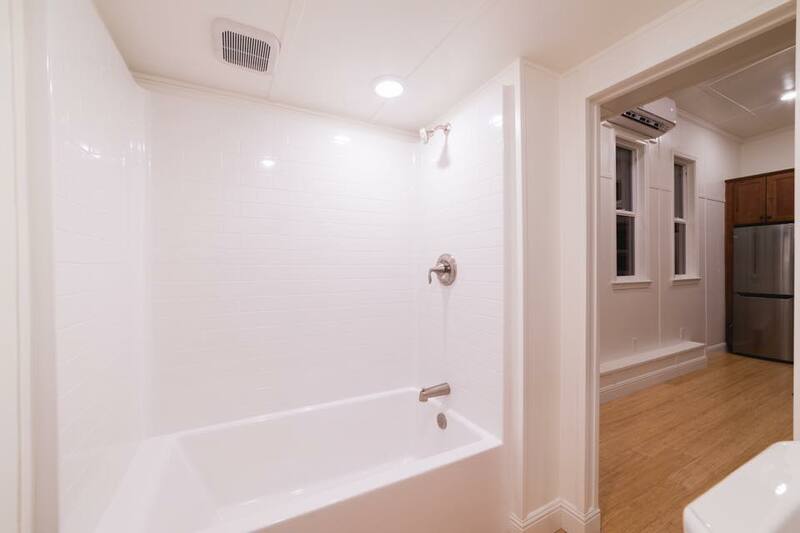 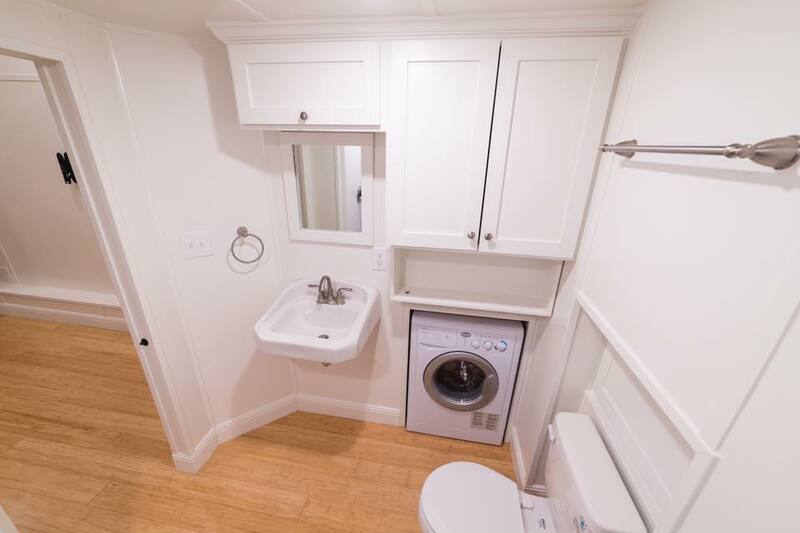 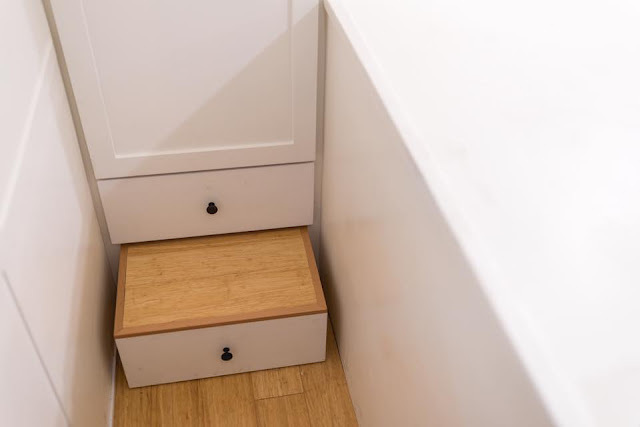 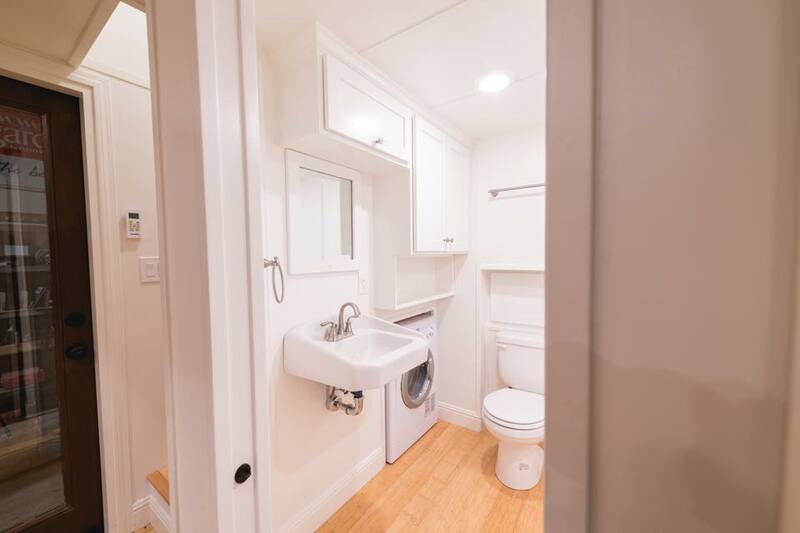 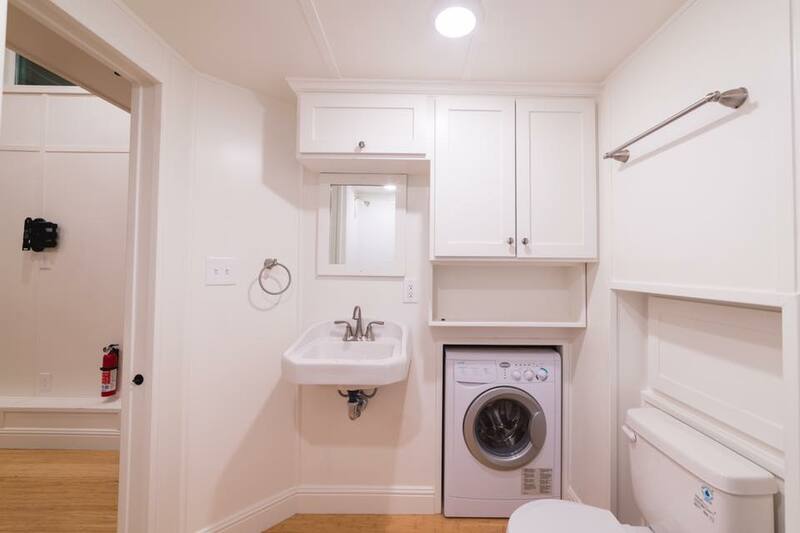 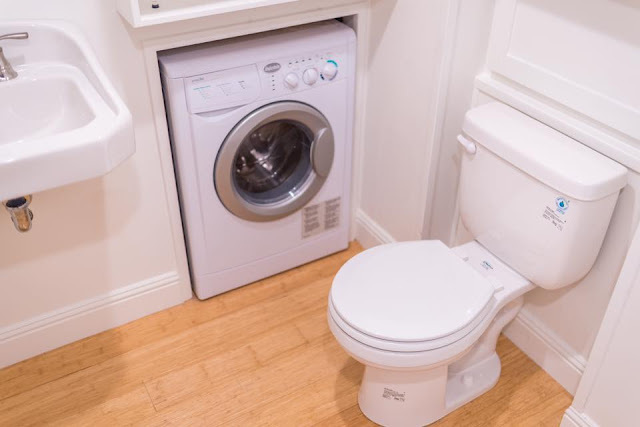 The bathroom is spacious and features a white sink, white-frame mirror, washing/drying unit, standard toilet, deep, white bathtub (including shower fixture) and white cabinetry for storage. 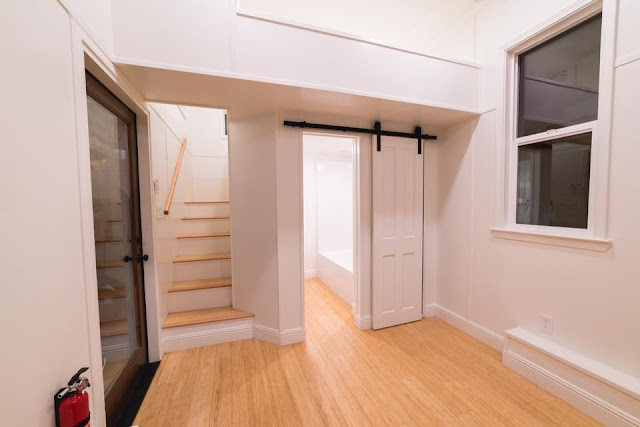 For more information on this tiny home or other California Tiny House custom homes, contact the builder here!